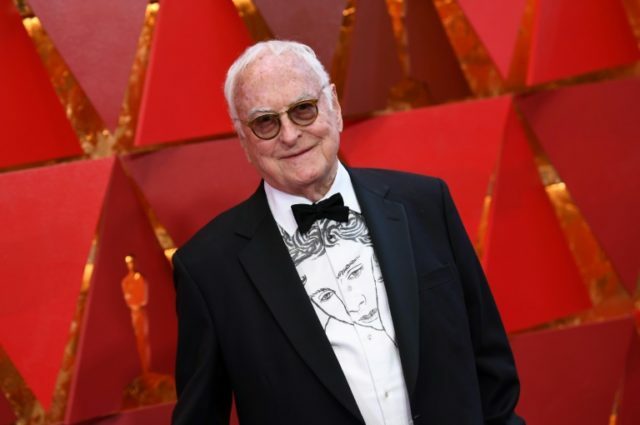 Hollywood (United States) (AFP) – Legendary filmmaker James Ivory won the first Oscar of his storied career Sunday for his screenplay of “Call Me By Your Name,” a sensual tale of first love set in sun-drenched 1980s Italy. After three nominations for directing “A Room with a View,” “Howards End” and “The Remains of the Day,” Ivory finally struck Oscars gold for best adapted screenplay, from a novel by Andre Aciman. The film focuses on Elio (Timothee Chalamet), a precocious but bored 17-year-old American who becomes transfixed by Oliver (Armie Hammer), the handsome graduate student who has come to work with Elio’s professor father in Lombardy. “We’ve all gone through first love, I hope, and come out the other side mostly intact,” Ivory told the audience at Hollywood’s Dolby Theatre while accepting his award, sporting a shirt featuring Chalamet’s face. He thanked Aciman, Chalamet and Hammer, and also his long-time collaborators, both of whom have died — Indian producer Ismail Merchant and German-born writer Ruth Prawer Jhabvala. His fascination with India began at age 23 when he saw Jean Renoir’s “The River” (1951). Many of his early films would have India as a backdrop, with the confrontation between Eastern and Western societies as one of his preferred themes.